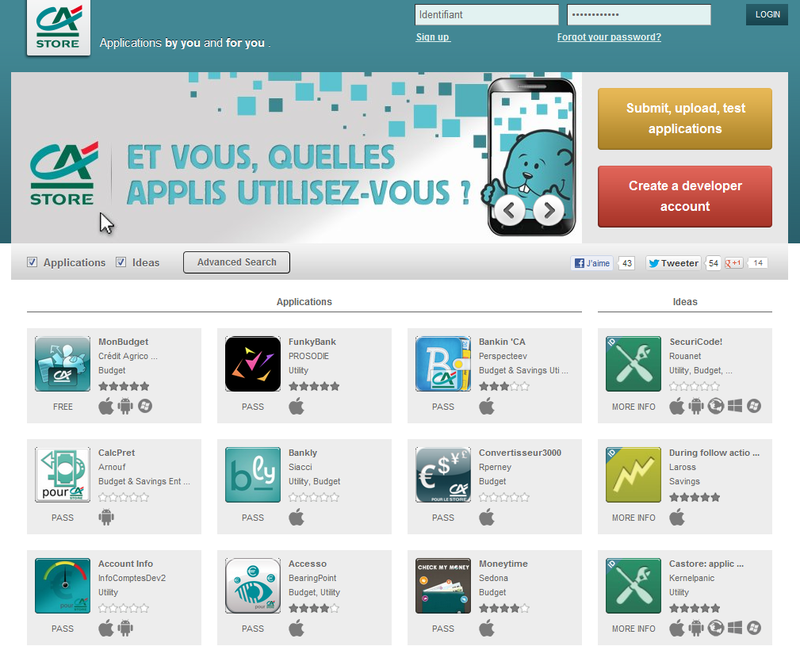 Back in January 2012, Credit Agricole shook up the banking industry by announcing its own app store opened to third parties. The CA Store officially opened with 43 mobile apps and ideas. We thought we’d give you an update, eight months following this major announcement from the leading French bank. This is it. Credit Agricole’s CA Store officially opened. You will find below some key stats from launch. So now, Credit Agricole’s open innovation and open banking initiative is more than a concept. It is a reality. And with Axa Banque’s own app store which is about to officially launch and ING’s recent announcement, the French bank might has started a key trend in the worldwide banking industry. But how receptive will their customers be? And how many third parties will demonstrate their commitment to the CA Store and be prepared to invest resources in building apps which usage might just never take off significantly?